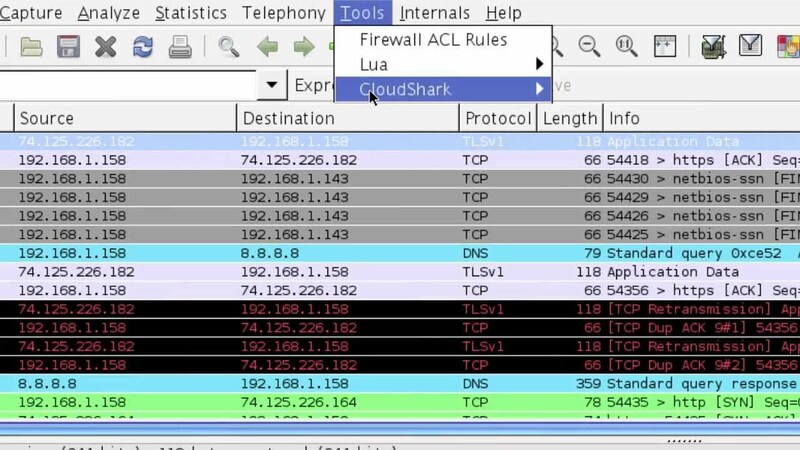 The CloudShark plug-in for Wireshark lets you seamlessly sync your Wireshark packet captures with either a CS Enterprise system or CS Personal account. After installing the CloudShark plug-in on your system with Wireshark, you will be able to manage, view, analyze, and share your Wireshark captures on the web, quickly and easily. The plug-in also works with tshark, allowing you to script remote packet capture and store all of your traces in one place. Use the CloudShark plug-in in the tools menu to upload your capture files to CloudShark, and start packet surfing! Integrate your Tools with CloudShark! Interested in integrating your application with CloudShark? Talk to us about joining our growing list of integrators.